Find all the best ideas for childrens birthday parties on Long Island. This is your definitive guide to kids birthday parties on Long Island. Find the top entertainment, decorations, themes and more in our children's birthday party guide on Long Island. 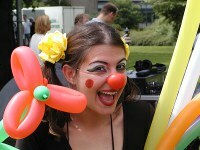 See our categorized list of childrens party entertainers on Long Island! Find the top party entertainers on Long Island for your next kids party. 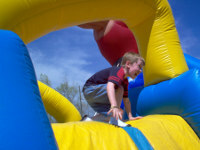 FunNewYork.com gives you this categorized list of kids party rentals Long Island can offer. From photo booths to reception halls, Long Island kids party rentals are there to help. 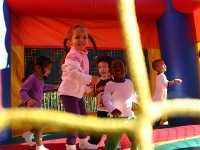 Plan unforgettable events when you use this guide to parties for young children Long Island. These fun and colorful parties for young kids on Long Island are geared especially toward kids 4 and under. Birthday Party Places on long island, Party Venues on long island, kids party places long island, party places on long island, long island See our list of birthday party places on Long Island when you visit FunNewYork.com! We make it easy for you to find a great place to host your next kids party with our one-stop guide to kids party places on Long Island. If you're throwing a party on Long Island and are looking for DJs, photographers, planners and more use FunNewYork's guide to Party Services on Long Island. 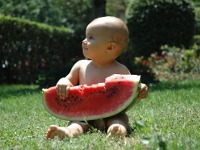 Life is easier when you use birthday party services on Long Island to plan your party. Delight your child and his or her friends with a costumed character of their favorite cartoon or story when you throw one of these great theme parties on Long Island. 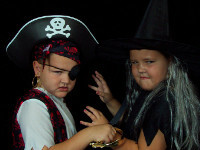 Here is a list of top kids birthday party themes on Long Island.